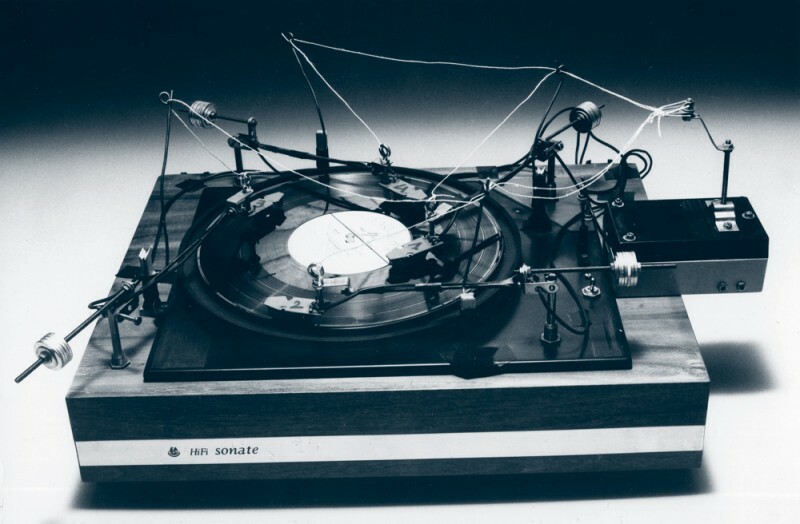 A collection of items from the Prosthetic Knowledge Tumblr archive and around the Web, taking a brief look at creative and sometimes poetic plays with the familiar audio technology of vinyl records. Each country on the disc is engraved with a different sound, as the needle passes over it plays field recordings collected by Yuri Suzuki from around the world over the course of four years; traditional folk music, national anthems, popular music and spoken word broadcasts. Suzuki's website includes a full audio recording of the piece. Record Player with four arms. The best results: Pablo Casals - plays the cello in a ‘quartet’. You can see a short Quicktime video of the work here. 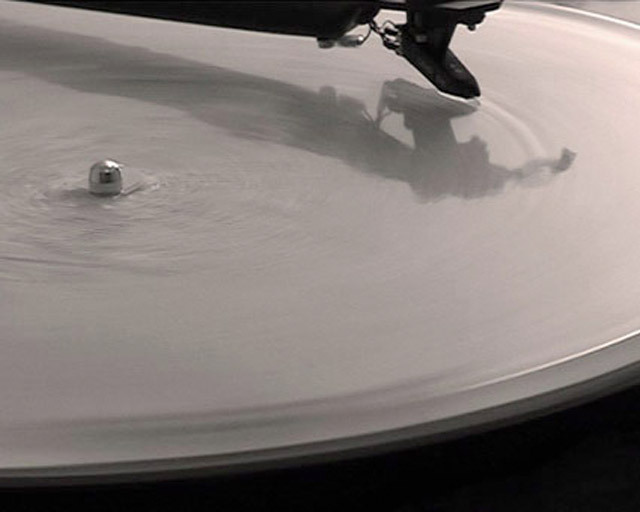 Sound recordings from three glaciers in Iceland, pressed into three records, cast, and frozen with the meltwater from each of these glaciers, and played on three turntables until they completely melt. 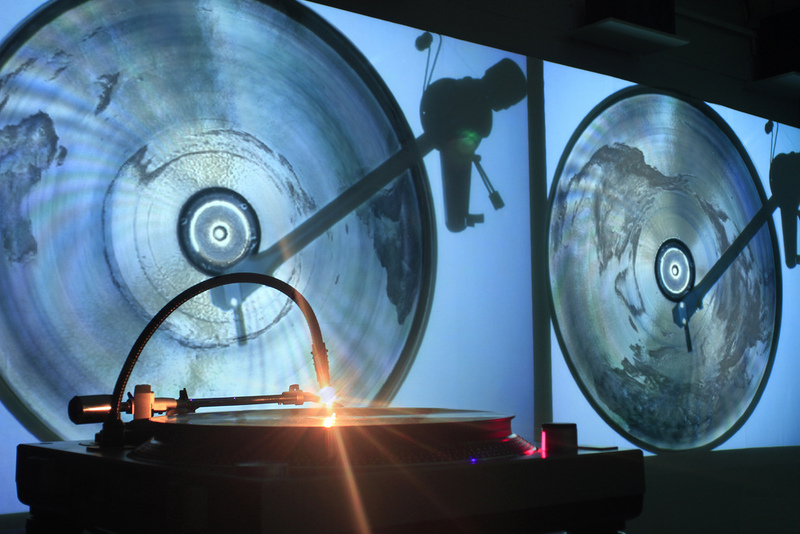 The records were played once and now exist as three digital films. The turntables begin playing together, and for the first ten minutes as the needles trace their way around, the sounds from each glacier merge in and out with the sounds the ice itself creates. 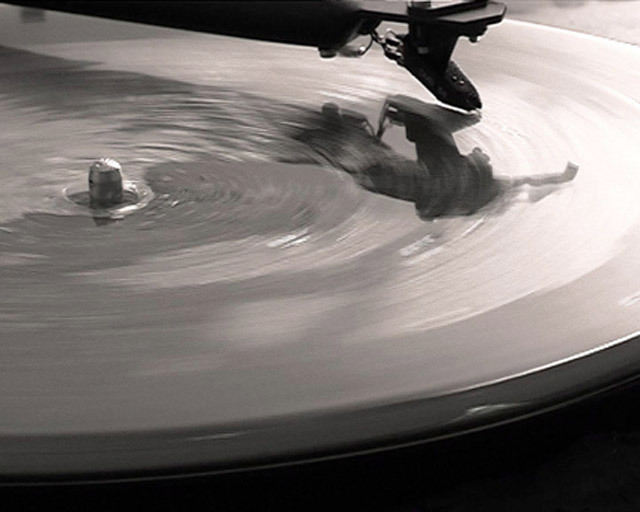 The needle catches on the last loop, and the records play for nearly two hours, until completely melted. An audio excerpt can be heard at Katie's website. 2013, retrospective exhibit: documentation and designed furniture. 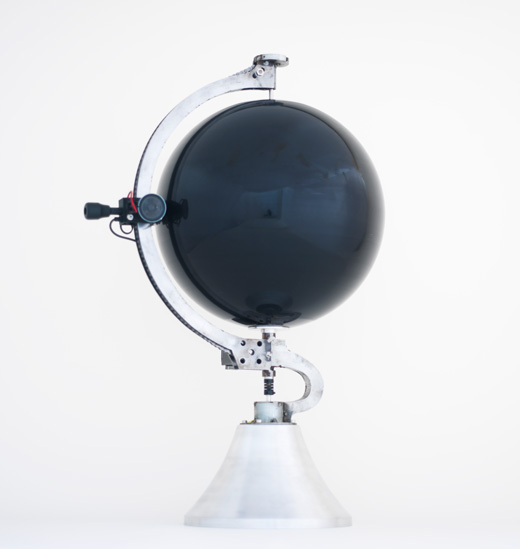 After six years ongoing, m(rpm) was exhibit in the context of the collective exhibit "Entropy theory". The idea was rescue documentation from the project and combine it in a video-installation with videos, photographs, molds and three sculpture-furnitures. Besides, in the openning day the artist played an ice vinyl with the national anthem and another frozen disc stayed in an freezer designed as a sculpture during the exhibit period. 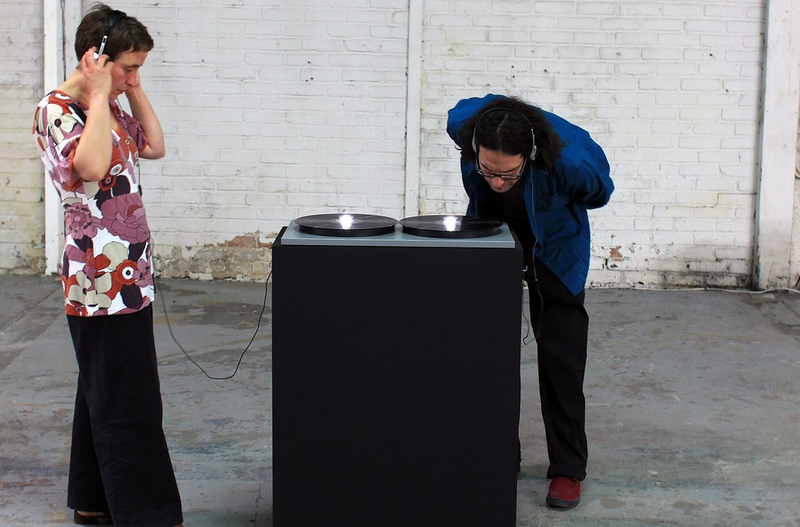 The photographs and videos were contained on a grid and narrated the history of the piece, from the first projects made of ice and the first ice vinyl to the last exhibit in Berlin in 2011. 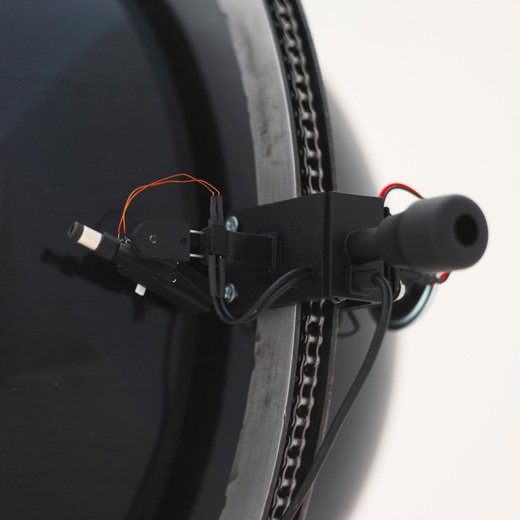 Some photographs also show the procedure to create the discs. The videos are a sampler of some of the live acts and exhibitions where the discs had been played. 45 printed photos mounted on trovicel.